If you frequent this corner of the internet, you’re almost surely familiar with Greg Phillips aka Keyboard Kid aka WaterGod. Best known for his work with Lil B, Seattle-based producer has reignited the instrumental hip hop flame in recent years, instilling a sense of precocious positivity in the often-times staid community. A Based disciple to the fullest, Keyboard Kid has been churning out an almost insane amount of music over the past several years, releasing esteemed solo tapes on Donky Pitch, Automation and Mezzanine, as well as contributing dozens of (sometimes uncredited) beats to Lil B. Need we say more. 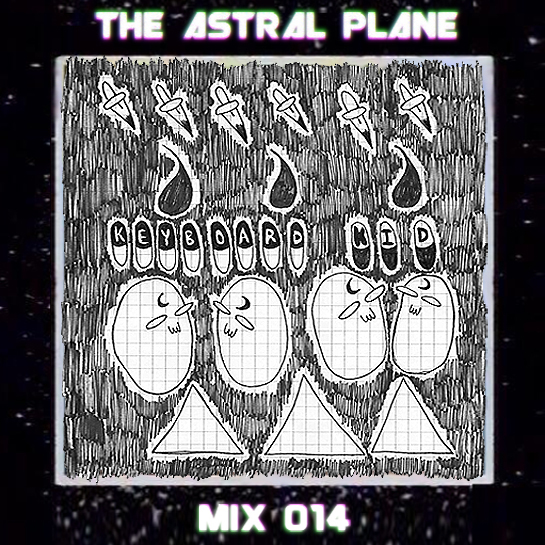 Already busy with a new puppy, the WaterGod let loose 37 minutes of narcotizing, all-original beat work for the 14th Astral Plane Mix. Matching soporific melodies with sharp snares and crackling feedback, Phillips effortlessly matches an off-kilter Based approach with a sleek, sci-fi aesthetic that constantly appears to be on the verge of implosion. The mix is chock full of exclusive material so take a gander at the track list after the jump for a taste of what 2014 has in store. All songs by Keyboard Kid except as noted.